In this article we’ll consider the procedure of deployment and configuration of a corporate KMS server able to activate new Microsoft server platform Windows Server 2016. All major peculiarities of KMS activation described in the article FAQ on KMS Activation are fully applicable to Windows Server 2016 as well. 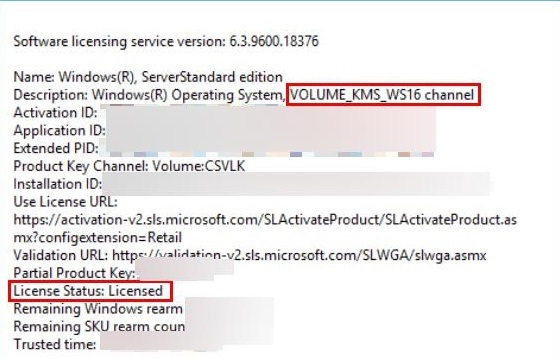 Windows Server 2016 can itself be a KMS activation server (KMS host) if it has a configured Volume Activation Services role, or be activated on another KMS server (there are some additional requirements). If there is no KMS server in your domain, the Volume Activation Services role implementing the feature of KMS activation can be installed on Windows Server 2016. We won’t consider the installation and configuration of the role in detail, since it is the same as it is in Windows Server 2012 R2 (Installation of KMS Server on Windows Server 2012 R2). Note. 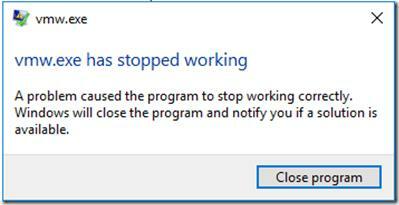 In my case when trying to configure Volume Activation Services role using the graphic wizard, the error “vmw.exe has stopped working” appeared. I couldn’t find a way to avoid it, so further configuration was performed in the command prompt. If you already have a KMS server deployed in your enterprise and running one of the earlier Windows versions, you don’t need to deploy new Server 2016 with the KMS server role. You can upgrade the current server to support KMS activation of Server 2016. There are no updates for KMS role on Windows Server 2008R2. So you won’t be able to use KMS in Windows Server 2008 R2 to activate Windows Server 2016 or Windows 10 Enterprise 2016 LTSB. After installation or update of your KMS server, activate it with CSVLK (so called KMS Host Key). You can get this key on Microsoft Volume License (VLSC) website. 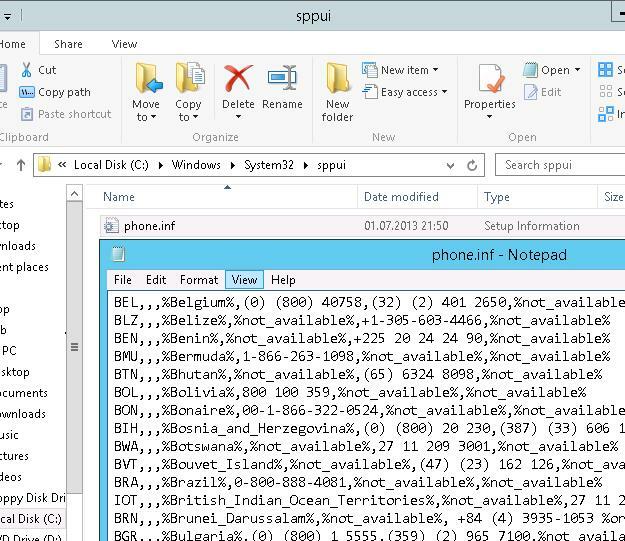 The key you need is called Windows Srv 2016 DataCtr/Std KMS and is located in License -> Relationship Summary -> Product Keys. If the KMS host activation has been successful, you will see the values VOLUME_KMS_WS16 channel and License Status: Licensed. After the activation, KMS server can activate computers running Windows Server 2016. To activate a client, it should have a special public KMS installation key (shown below). Like Windows 2012, Windows Server 2016 supports automatic activation in the domain using AD — Active Directory Based Activation (ADBA). 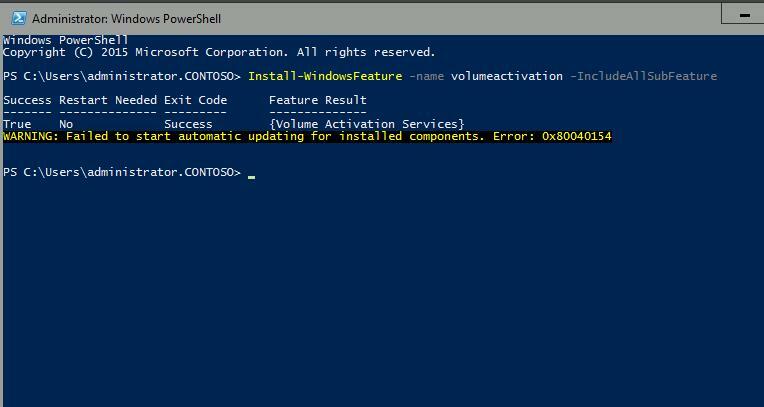 As earlier, Volume Activation Services has to be configured for successful activation. Thanks! I fixed the command.